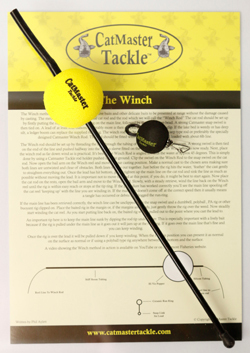 CatMaster Tackle "The Lynch Rig "
Our new Duo Surface Rig is actually TWO RIGS in on convenient package. 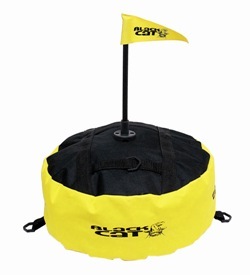 The Rotary Rig will also be supplied with a couple of protective beads and instruction as well as a storage tube. 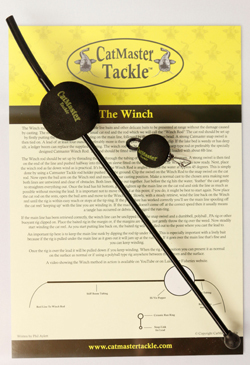 The Winch method of getting livebaits has been credited to "Phil Aylett"
Traditional cork bungs with a pin for looking into position on your mainline. 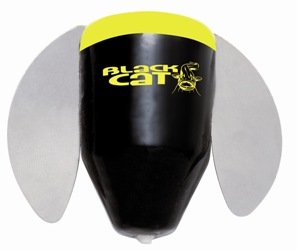 Constructed from Hi Density Polystryene with a durable plastic coating. Can be used either way. 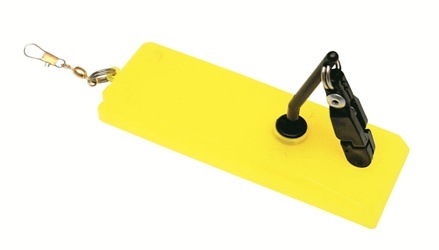 Complete with tie eyes for the buoy rig, fixing peg & mounting point for either a snap light or isotope. 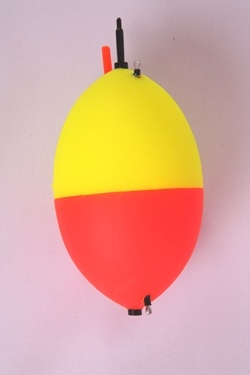 A totally differtent shaped float that has the ablility to work as a clonk when used with livebait. 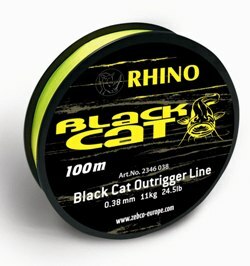 Purfect for anchoring a rig in a current. Oval float with snap light adaptor. 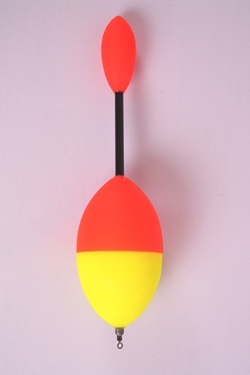 A very effective design for angling in strong currents. 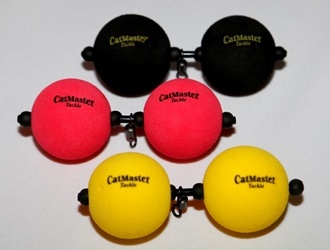 Catfish float deisigned to suspend livebaits from the surface. Complete with built in rattle. Insert tip for snap lights to be attached to. Line can be fixed in the central channel with a snap light. 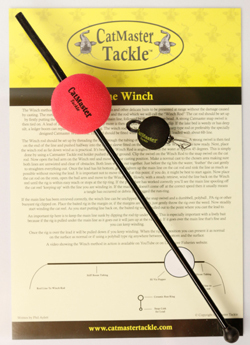 A special float for boat and bank fishing against the current. 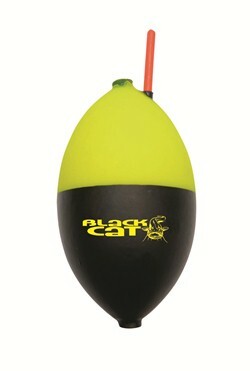 Having an extraordinary float body that allows the swivel to disappear inside to avoid spooking wary catfish. There is a recess for a snaplight to be inserted inside the floats body and is only visable to the angler, not the the catfish,. 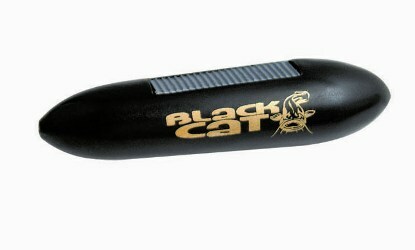 A special float for shy catfish, developed and tested on the river Po. Inconspicuous even to the most cautious catfish. 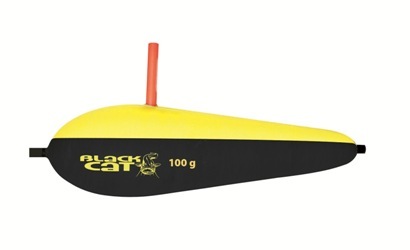 Black Cat have created an unusal sub-surface float that have 2 microporus surfaces for soaking with flavours. Planner with release clip. Enables rigs to be held out in the current away from the shore. 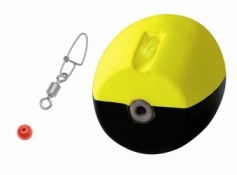 After a bite it releases and slides up underneath the leader knot so it does not interfere in the fight. 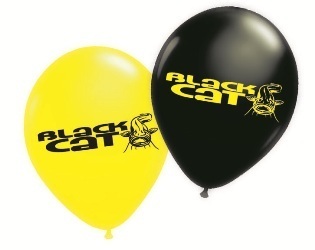 Black Cat have taken a leaf out of the pike anglers trick book to use ballons to drift baits out long distances where a long range cast would not be suitable. 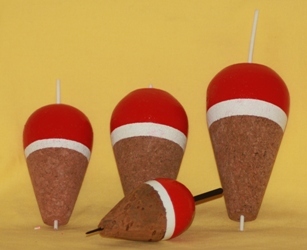 Constructed from Hi Density Polystryene with an orange top. Complete with mounting point for either a snap light or isotope. Complete with fixing peg which can be used as a mounting point for eith a snap light or isotope.